Vega Property Group re-launches as lovespain.com with brand new corporate identity, headquarters and website | Marbella Marbella – Adelante! After much anticipation, this month (July 2015) Spanish property specialists ‘Vega Property Group’ officially re-launched the company under a fresh new corporate identity ‘lovespain.com’. 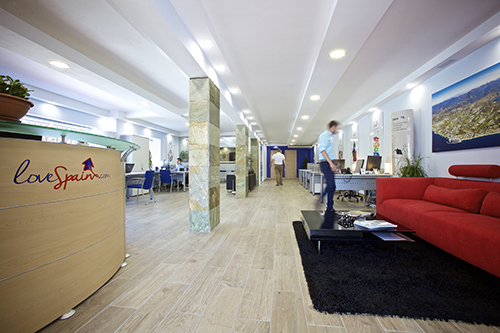 The new branding was decided upon to convey the company’s deep Spanish roots – founder Alexis Aparicio was born in Spain – with a unique all singing and dancing bespoke website www.lovespain.com and stylish new premises. 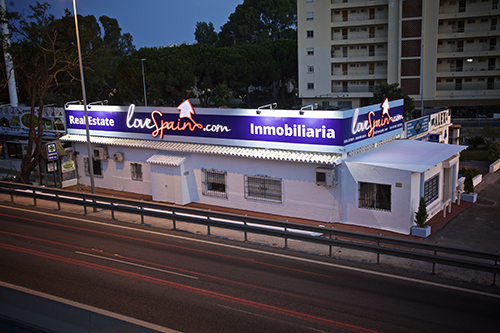 On Friday 17th July 2015 clients, colleagues and members of the local press are invited to join the lovespain.com to celebrate the launch, network and finally put faces to names over free flowing drinks and canapés at the company’s new head office in El Rosario. Already an established real estate agent with many years of experience on the Costa del Sol, Alexis launched lovespain.com as a means of translating his passion for the Spanish lifestyle into practical assistance for the company’s international clientele interested in buying property in Spain. The new lovespain.com website has been painstakingly developed over several months in accordance with Alexis’ exacting requirements, the result is a vibrant informative site that clearly showcases thousands of properties – with a growing number exclusive to lovespain.com, related informative and above all an enjoyable user experience.